Google, The well known company, introduces new version of image search for mobile to make the users feel easy whenever they want to view a bunch of images at a time. At present this service is only available for iphone 3.0+ and android 2.1 devices. In future they may introduce the service for other mobiles also. By this service you can view the images at a time instead of loading the pages one by one. you can swipe to the next image easily or you can view the images as thumbnails in a single page. To try this new version you just have to go to www.google.com on your phone and tap on the “image” and continue your search. we wish the introduction of this service to all mobile’s soon…. Today i have come across a mail with 12 Terrific sites for managing media and sharing files. Actually the sites are very good and so i am writing the same for you. Just have a look below..
Lala, Pandora, and Slacker, Grooveshark rises to the top of the heap for its slick interface, robust-yet-unobtrusive social features, and excellent smartphone integration. Whether you’re promoting your band’s latest gig, hosting a community crab feed, or just looking for something to do tomorrow night, Eventful‘s location-based listings of concerts, clubs, movies, and events make it easy to find your scene. Sure, your smartphone can make a ringtone out of any song in your music library, but will it jump to your favorite line? Nope. CutMP3 lets you upload any song to its music editor and then trim it down to the portion you want for your ringtone. Once you’ve picked your clip, just save the track to your phone and set it as your ringer. Easy-peasy, and totally free. audiobook lovers typically pay top dollar for readings of their favorite works. Librophile.com offers a massive library of free audiobooks, ranging from classics to sci-fi to fairly recent fiction. While the site itself is hideous, the selection of books is immense. Search by author, genre, or title, and download the book as a zipped set of MP3 files or subscribe to its chapters on an iTunes RSS feed. In addition to the free audiobooks, Librophile.com offers a wide assortment of premium audiobooks for prices starting as low as $7. Photoshop.com. However, if you want to pop open a picture quickly and make changes without having to sign up for an account, check out Citrify. Citrify’s free, no-hassle photo editor lets you upload an image and start editing immediately. Add cool effects, captions, and adjust your colors, and then click ‘Save’ to put the finished product back on your PC’s hard drive. What Photoshop.com is to pictures, Pixorial is to home movies. You get 10GB of storage space for your video files, and the ability to upload 800MB of AVI, FLV, MP4, MPEG, DV, and WMV files at a time. Once your video is uploaded, you can use Pixorial’s simple online editor to assemble your footage in a storyboard and to merge clips together. You then add some transitions and titles, and choose how you’d like to share the result; you can download the movie as a high-res or low-res file, post it to a social network, or order it on DVD. Creating photo slideshows is easy enough with most photo editing apps, but making your slideshows sing takes a lot of work. The Animoto automated slideshow creator turns your photos and videos into stunningly cool slideshows complete with music and impressive transition effects that look professionally made. You upload your images and video clips, and then upload music or choose from the site’s fairly limited selection of songs. Give your slideshow a title, and a few minutes later you’ll receive an e-mail telling you the show is ready to view. You can share your video on social networks, e-mail the link to your contacts, embed it on a blog, or send it to YouTube. For $5, you can upgrade it to a high-res MP4 that you can take anywhere, or burn it to a DVD. Animoto’s free slideshows are limited to 30 seconds, but for $3 per slideshow you can create a full-length video worthy of showing at a family gathering, a wedding, or a business conference. Livecage. This service lets you stream video or audio either publicly or privately, and gives you the embed code you need to add your stream to your own Website, as well as the option of tacking on a PayPal button to raise funds. Groups and companies can also use Livecage for free videoconferencing; it supports up to ten users at a time. If you really want to share your life with the world, you want to do it wherever you are. Qik gives you the tools to stream live video straight from your Android handset, iPhone, BlackBerry, or nearly any other smartphone. Your friends and fans can watch your broadcasts live on your own site or on Qik.com, or they can come back later to watch the recording. Dropbox you get 2GB of free online storage and a utility that syncs that space with a folder on all your desktop PCs, as well as on your phone. Drop a file in from one machine, and it will update on all the others. When you need to share a large file, or a collection of files, with someone, you could always use the tried-and-true YouSendIt service. But we prefer Drop.io for its ability to create anonymous drop boxes of up to 100MB for free, complete with user-defined expiration dates and password protection. Humyo offers 10GB of free online storage. Sweet. Live Mesh is about the easiest way to keep your important files in sync. Offering 5GB of free storage, Live Mesh lets you create synced folders that you can access from any connected PC or via a Web interface. You can also share those folders with friends. What separates Live Mesh from simpler services like Dropbox is its ability to remotely access your other PCs via Microsoft’s Remote Desktop service, as if you were sitting in front of them. Install Live Mesh on each PC you’d like to access, and then leave the systems on to keep them available. When the computers are turned off, their synced files and folders remain available through the Web-based Live Desktop. 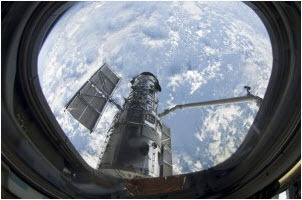 Nasa, National Aeronautics and Space Administration: an independent agency of the United States government responsible for aviation and spaceflight celebrates 20th anniversary of hubble telescope today. Age of the universe, The discovery of dark energy, Hubble telescope explores the cosmos since eight years. Hubble telescope is a cornerstone in the understanding of exoplanets. Hubble telescope is part of a whole, but it is true instrumentation including spectroscope has provided us with unique information and nasa is very happy to celebrate 20th anniversary of HUBBLE TELESCOPE. If you are interested to know much about the HUBBLE telescope you can visit the page addressed below. 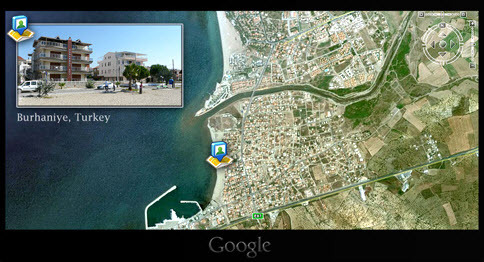 Just watch the below video and know how easy to navigate to a place using google GPS navigator. There are restricted platforms where you can`t access sites like orkut, twitter, facebook…..etc and other sites. You people may be eager to know how to open the blocked sites. Yes, as usually there is a way to open such sites, the way is by using PROXY which was provided by many sites.Actually a proxy site works as an intermediate between the users and server and thus we are able to open the blocked sites. 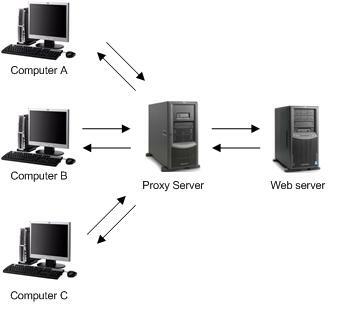 You can understand the working of a proxy by the picture shown below. Enjoy using proxy from today at the place where ever you want. iphone os 4 event on april 8th!!!! Yes folks — the world is turning upside down. 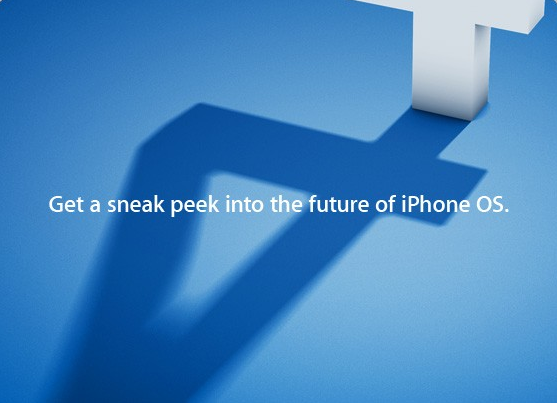 Apple has announced an iPhone OS 4 event on April 8that 10AM PT for a “sneak peek of the next generation of iPhone OS software.” So if you’re wondering about the future of the platform… your answers will appear sooner than you think. The team collectively dropped an “OMG” when we saw this news, as it’s pretty unusual to see such a big event coming from Apple right on the heels of something like the iPad launch. Just have a visit on new apple desktop which was released with an upgraded os…….. Here is a good blog for students by google. Actually this is a very interesting blog. They have provided much information inside it. They also have a students channel on youtube. They are providing the news and the updates of google especially for students in their “STUDENT BLOG”. To have a visit just click on the image (link) below. You can watch the video of an interview at google below. Actually the video is very interesting… must watch it…. Here is a good news to the book readers. Amazon releases a wireless reading device named kindle readind device. There are two models with different specifications. One released with 6″ display while another one is with 9.6″. As usual the dimensions and the storage are also differ between the two devices. You can see the device in the below video. Here at Google we love blogging, and we do a lot of it since we manage dozens of official Google blogs across products, regions, and audiences – like students!